We saw boats and cars that floated away from their rightful parking spots. We saw homeowners begin to clean out their homes, leaving their lives at the curb for the garbage man. Then another friend who joined us for the ride wanted to check on her apartment in Long Beach. To this day I swear it was a nightmare or a horror movie. Large sections of the boardwalk were thrown several blocks away. There were car pileups buried in sand. People were pumping rivers of water out of their homes. 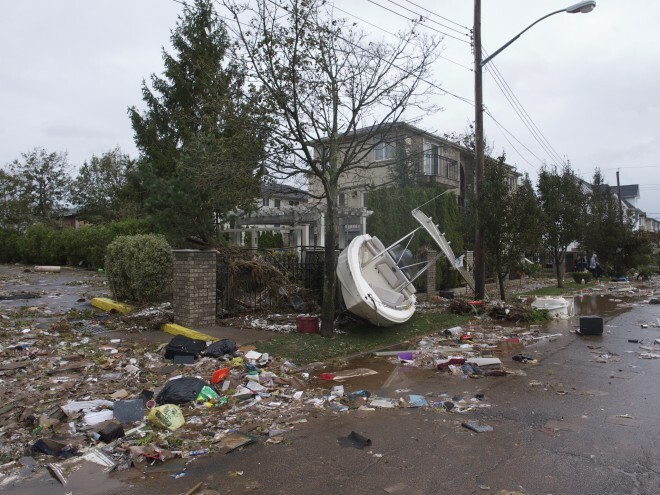 On October 29, 2012, Hurricane Sandy devastated New York City, killing 43 residents and causing $32 billion in damages. The sobering account highlighted above is just one of thousands reflecting on the storm's immense toll on residents, home and business owners, friends, and volunteers. In addition to the physical destruction Hurricane Sandy left in its wake, the storm also revealed the enormous vulnerability of a city that prides itself on being tough, resilient, and ahead of the curve. Despite sufficient forecasting from the National Weather Service, NYC was unable to fully prepare for a storm of such magnitude. In the aftermath of Hurricane Sandy there were massive efforts of governmental, regional and local support. However, a proactive approach is necessary to create a resilient and sustainable city that can withstand imminent problems related to climate change and sea level rise. With approximately 85,000 buildings and 400,000 people living in designated FEMA flood zones, the city has a responsibility to learn from its past mistakes and protect its residents from future disasters. In the last decade average sea level has increased by approximately 20cm, and while this may not seem like a staggering number, the gentle slope of the shoreline amplifies the amount of submerged land by over 50 percent. The effects of climate change on ocean temperatures, thermal expansion, and glacial melt are contributing to low-level land inundation, higher storm surges, and coastal erosion - and New York will need to address each of these issues in the very near future. 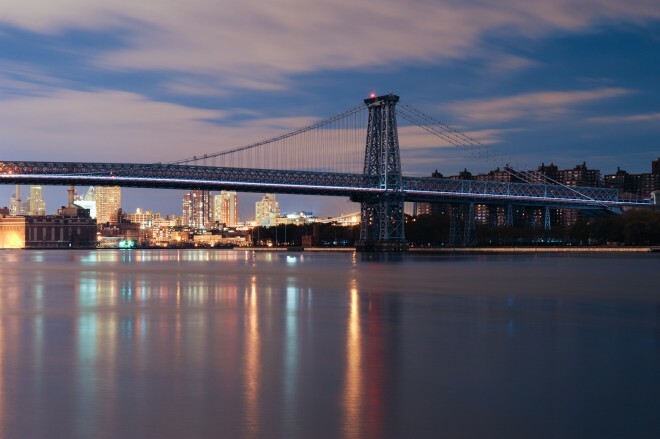 While these problems are not unique to New York’s 538 miles of coastline, New York does have a unique opportunity to be one of the first cities to implement coastal resiliency plans and become a leader in acknowledging and preparing for the effects of climate change. A resilient place has traditionally been considered one that is capable of “bouncing back.” While it is important for a city to recover after disaster strikes, it must also implement strategies to help it better adapt to future threats. Embracing change and investing in creative solutions to make a city stronger is the key to resiliency. After natural disasters like Hurricane Sandy, change is not a choice - the impacts of the storm immediately force change upon people and places. The future of resilient cities depends on residents and their investment in, and involvement with, the places in which they live. Placemaking works to build and nurture this relationship between people and their environment. Taking a proactive approach to today’s environmental threats is the only way to effectively prepare for disasters and ensure the protection of current and future generations. We must think carefully about protecting both the natural and built environments of our mangroves, marshes, dunes, coral reefs, seawalls, levees, and bulkheads. Hybrid designs capitalize on built and natural infrastructure and allow for innovative planning strategies; however, in their current condition, many of New York's coastal areas are neither resilient nor innovative. 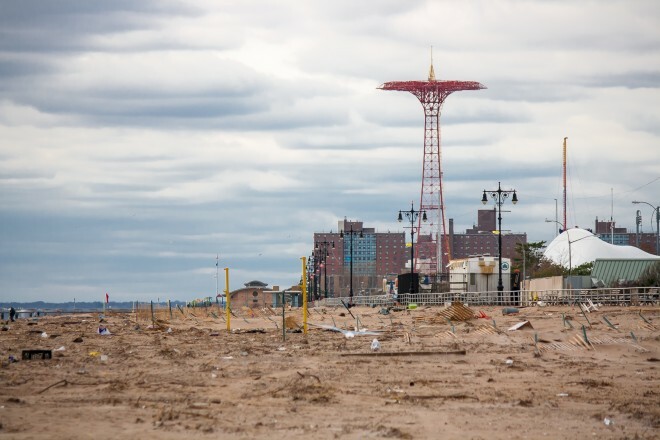 Because of this, after the devastation of Hurricane Sandy the United States Department of Housing and Urban Development launched Rebuild by Design to promote resilient design initiatives along coastal areas affected by Hurricane Sandy. The first of its kind, Rebuild by Design emphasizes an interdisciplinary approach with a mandatory focus on community engagement in design selection, research and implementation. Based on a scoring rubric allotting points in various categories including, feasibility, universality, community support and innovation the Rebuild by Design challenge selected ten finalists in the Tri-state area. 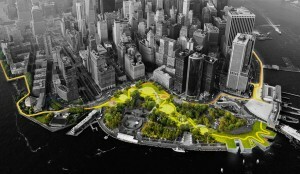 Of the finalists, three major plans stand out in their ability to incorporate Placemaking principles while simultaneously implementing necessary infrastructural changes for coastal protection: The Big U in Lower Manhattan; Hunts Point Lifelines in the Bronx; and Living Breakwaters in Staten Island. The design of The BIG (for Bjarke Ingels Group) U calls for an extensive protection system stretching from West 57th street to East 42th street encompassing a 10-mile loop of southern Manhattan's most low lying neighborhoods. The proposal utilizes natural berms and wetlands contributing to ecological restoration and flood protection as well as an additional layer of deployable seawalls. While the design boasts impressive digital renderings, the Big U’s emphasis on community feedback is crucial for aligning its vision with important Placemaking principles. Furthermore, the design excels in finding innovative ways to turn a large protective wall into a structure that allows for different modes of human interaction with the space. Throughout the history of the neighborhood, community members of Hunts Point have shown incredible resilience and now it is the responsibility of planners to give them a city that matches their resilient spirit. “We have invested in ourselves and now we deserve to be invested in,” explains Tanya Fields, Executive Director at The BLK Projek. Through good planning and Placemaking strategies, PennDesign can provide necessary protection for the industry and ecology of the Hunts Point waterfront while also creating dynamic public spaces that the community deserves. Living Breakwaters emphasizes a layered system for coastal protection spanning from the 100-year floodplain to the open water, which incorporates specialized infrastructure, dunes, and offshore breakwaters. This layered system can also be applied to their strategies for fostering community engagement. The Living Breakwaters plan works to support a community that can interact with the surrounding water rather than build barriers for solely functional protection measures. The SCAPE Design team’s goal is to have a water-based culture that uses education as a tool for engaging youth. Their design for water hubs aims to create centers for shared learning, including storage for monitoring equipment and kayaks, classrooms, wet laboratory space, flexible gathering spaces, local restaurants, bird watching stations, and nature observation decks. This design showcases a multi-use planning approach that can provide important services to the community and ecology of a place while also protecting the land. These designs can encourage and hinder Placemaking, and the key here is the involvement with the community. If the community supports the designs, sees it as their designs and integrates it into their overall daily life, whatever that looks like, these projects have a chance at fostering both healing from the trauma of Sandy, and fostering joy on the streets. If the community sees these designs as just another large-scale infrastructure project, they may not feel the ownership needed to integrate true Placemaking in these places and spaces. Only time and the process from "announcement to shovels in the ground" will tell. When evaluating these resiliency plans it is important to find a balance between functional and attractive destinations that invite people into the public space. Resiliency is not possible unless these communities feel ownership of a place and it should not be left up to chance whether or not these places will be successful. 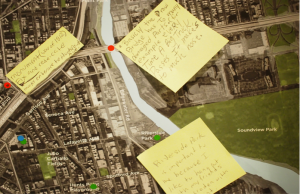 Placemaking offers a practical, progressive and preventative approach for ecological, social and economic vulnerability threatening the city in the face of climate change. Collaboration between government agencies, community organizations, private sector businesses and ordinary citizens is key to understanding which plans are best suited for creating a resilient city. While the Rebuild by Design competition was a unique initiative catalyzed by an unfortunate disaster, it is likely that these disasters will occur more frequently and in greater severity in the future. Whether cities are motivated by the threat of future storms or the need to maintain a tighter budget, implementing Placemaking is essential for creating truly resilient cities.